Welcome back to Week 5 of our series: Analytics Tip Of The Week. We took off last week, as it was Remembrance Day here in Canada, which is a holiday. How do you collect Analytics on your site? Is it by adding the code from Google Analytics to your website directly on every page? Or by putting your Google Analytics Tracking ID into a WordPress plugin like Yoast or All-In-One-SEO? Did you know that there is a better way? That better way is called Tag Management. And how is it done? With Google Tag Manger. A tag is a little bit of code placed on your website that helps with tracking, reporting, analysis, or sharing information with another website or service. Your Google Analytics Tracking Code, which Google Analytics suggests you place on every page of your website, is a Tag. If you use a WordPress plugin, they take your Tracking ID and add a Tag to every page of your website. If you use Facebook or Twitter advertising, they provide a pixel that you add to pages on your website. That is a Tag. Google AdWords asks you to put a Conversion tag on every page. And the list goes on. If you do a lot of online advertising, you can end up adding a lot of tags to your website. And that’s where Google Tag Manager comes in. Google Tag Manger (or GTM for short) is a service offered by Google that takes all of those little snippets of code and moves them off your site. In their place, you add one single Tag – the one for GTM. Then, every time someone visits your website, GTM takes care of making sure all of those Tags are executed. But there’s more that that to GTM, especially when it comes of Google Analytics. When you add the Google Analytics code directly to your site, information about your site is reported directly to Google Analytics. But with GTM, the information is collected by GTM before being sent to Google Analytics. That provides an opportunity to actually alter the information that is collected in your Analytics account. For most small websites this isn’t an issue. But with more complex websites, this is a capability that saves a lot of time and greatly improves the quality of the data being collected. When you sign up for GTM at tagmanager.google.com, it is a little bewildering at first. You will be taken through a few steps to set up your account – for the most part, these are pretty straight forward. You will have to put the GTM Tag on every page of your site (speak to your website developer if you don’t know how to do this – it’s actually pretty easy in most cases.) You will also want to remove any existing tags from the site, such as your Google Analytics code. There are three principal components of GTM – Variables, Triggers and Tags. Once you understand these three items, then GTM makes a lot more sense. Variables are values that you might want to remember and use in multiple places. The most common variable is your Google Analytics ID (it looks something like UA-123456-01). This is something that has to be used on every page on your site, and when you get into more advanced Google Analytics tracking, for a number of other items. 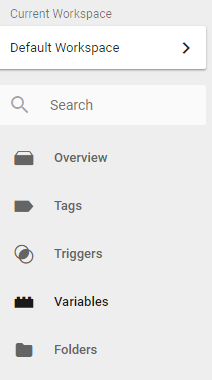 Triggers tell GTM when to do something. For example, with Google Analytics, you want to track every page that is visited by a user. So, a trigger is set to fire on every page. When you start using more advanced Google Analytics, you will want other triggers – such as “fire when someone purchases an item” or “fire when a user downloads my book”. Triggers identify the important events that happen on your website that you want to track. Tags, as we mentioned before, are little pieces of code that communicate with other websites or services. While the tags tell GTM when to do something, it is the tags that tells GTM what to do. For Google Analytics, the trigger says “I want to do something on every page”. The Tag says “tell Google Analytics that a user visited this page”. Tags and triggers work together very closely, so why are they separate? Why not just have a tag that says “Tell Google Analytics that someone visited on every page?” Because triggers can work for many tags. You may want to also tell Facebook and Twitter that a user visits a page. Because they are separate, you can create one trigger that fires on a page. Then three tags – one for GA, one for Facebook and one for Twitter – rather than having to duplicate effort. To set up basic Google Analytics tracking in GTM, there are just two steps. First, you have to set up a variable with your Google Analytics ID, then set up a tag to fire on all pages. Note that we don’t have to set up a trigger in this case – GTM creates a default trigger for you to use. In the box for “Tracking ID” enter your Google Analytics ID. You are now tracking your Google Analytics data through GTM. Let’s face it – so far all we’ve done is duplicate the GA tracking that was already on the site. Not very exciting. But you’ve now opened up your website to lots of other possibilities, and we’ll be exploring that in the next few posts, where we will talk about Google Analytics Events – what they are, why they are important and how to track them.